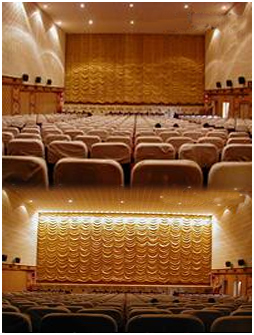 Hitech theatre that is situated in Madhapur, Hyderabad. It is ideally situated in a place, which is near to the Andhra Silicon Valley Hitech City and the posh localities of Jubilee Hills and Banjara Hills. Theater has a capacity of 463 seats with a best a legroom. There is ample leg space of 4 and half feat between the rows and of course all the seats do have a cup holder to keep the soft drinks.